I’ve a Master's and Doctorate in Sciences with emphasis in proteins related to cell death, mitochondrial dysfunctions, cell cycle, polyglutamylation, DNA damage response. I’m Post-Doc in Mechanical Signaling Laboratory at the University of Campinas (Unicamp) - Brazil, under the supervision of Dr. Jörg Kobarg. We work mainly with protein interaction to understand protein functions. 1. ASSIS, L. H. P. ; SILVA-JUNIOR, R. M. P. ; DOLCE, L. G. ; ALBORGHETTI, M. R.; HONORATO, R. V. ; NASCIMENTO, A. F. Z. ; MELO-HANCHUK, T. D. ; TRINDADE, D. M. ; TONOLI, C. C. C. ; SANTOS, C. T. ; OLIVEIRA, P. S. L. ; LARSON, R. E. ; KOBARG, J. ; ESPREAFICO, E. M. ; GIUSEPPE, P. O. ; MURAKAMI, M. T. . The molecular motor Myosin Va interacts with the cilia-centrosomal protein RPGRIP1L. Scientific Reports , v. 7, p. 43692, 2017. 2. KOBARG, JORG ; CARDOSO, VANESSA B ; HANCHUK, TALITA ; DE SOUZA, EDMARCIA ; PAPA, PRISCILA ; MEIRELLES, GABRIELA . . JOURNAL OF INTEGRATED OMICS , v. 7, p. 1-8, 2017. GABRIELA VAZ ; BASEI, FERNANDA LUISA ; LOVATO, DIOGO VENTURA ; GRANATO, DANIELA CAMPOS ; PAULETTI, BIANCA ALVES ; DOMINGUES, ROMENIA RAMOS ; LEME, ADRIANA FRANCO PAES ; PELEGRINI, ALESSANDRA LUIZA ; LENZ, GUIDO ; KNAPP, STEFAN ; ELKINS, JONATHAN M. ; KOBARG, JÖRG . NEK1 kinase domain structure and its dynamic protein interactome after exposure to Cisplatin. Scientific Reports , v. 7, p. 1-13, 2017. 4. DIAS, CARLOS S. B. ; HANCHUK, TALITA D. M. ; WENDER, HEBERTON ; SHIGEYOSI, WILLIAN T. ; KOBARG, JÖRG ; ROSSI, ANDRÉ L. ; TANAKA, MARCELO N. ; CARDOSO, MATEUS B.; GARCIA, FLÁVIO . Shape Tailored Magnetic Nanorings for Intracellular Hyperthermia Cancer Therapy. Scientific Reports , v. 7, p. 14843, 2017. 5. SILVA, JULIANA MARTINS DE SOUZA E ; HANCHUK, TALITA D M ; SANTOS, MURILO IZIDORO ; KOBARG, JÖRG ; BAJGELMAN, MARCIO CHAIM ; CARDOSO, MATEUS BORBA . Viral Inhibition Mechanism Mediated by Surface-Modified Silica Nanoparticles. ACS Applied Materials & Interfaces, v. 8, p. 16564-16572, 2016. 6. Hanchuk, T.D.M. ; PAPA, P. F. ; La Guardia, P. G. ; VERCESI, A. E. ; KOBARG, J. Cellular Signalling , v. 27, p. 1168-1177, 2015. 7. MEIRELLES, G. V. ; PEREZ, A. M. ; SOUZA, E. E. ; BASEI, F. L. ; PAPA, P. F. ; Hanchuk, T.D.M. 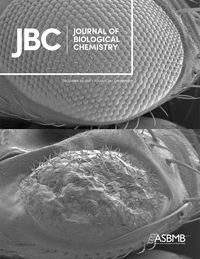 ; CARDOSO, V. B. ; KOBARG, J. . . WORLD JOURNAL OF BIOLOGICAL CHEMISTRY , v. 5, p. 141-160, 2014. 8. Pandeló, Diego ; Melo, Talita D. ; Singulani, Júnya L. ; Guedes, Fernanda A. F. ; Machado, Marco A. ; Coelho, Cíntia M. ; Viccini, Lyderson F. ; Santos, Marcelo O. . Oil production at different stages of leaf development in Lippia alba. Revista Brasileira de Farmacognosia-Brazilian Journal of Pharmacognosy , v.
9. Domingues, R. ; Machado, M.A. ; Forzza, R.C. ; MELO, T. D. ; WOHLRES-VIANA, S. ; Viccini, L.F. . Genetic variability of an endangered Bromeliaceae species (Pitcairnia albiflos) from the Brazilian Atlantic rainforest. GENETICS AND MOLECULAR RESEARCH , v. 10, p. 2482-2491, 2011.